It can be difficult to watch your parent age, but when the aging process takes its toll in unrelenting ways, it can be downright painful to see. If you find yourself in a new role as caretaker for your aging parent, you may find that you are having to make more and more decisions for them. Especially their oral health. 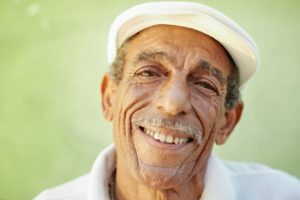 Geriatric dental issues can range from cavities to dry mouth to gum disease. If your aging parent is vulnerable and unable to get to a dentist office, the issues can become dangerous. 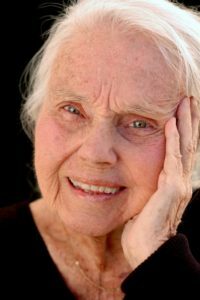 Finding dental care for aging parents can be a daunting task. If you add dementia or Alzheimer’s into the mix, geriatric oral care can be absolutely dreadful. The Centers For Disease Control And Prevention says that appropriate dental care will help your loved one maintain their natural teeth. And, The American Dental Association recommends that you help them keep their mouth clean with reminders to brush and floss and make sure they get regular check-ups. But, what if you can’t do that? That’s where Dr. Alisa Kauffman comes in. She makes oral health easy for vulnerable dental patients by making house calls. CONVENIENCE – You won’t have to worry about getting your parent in and out of the dentist office. Dr. Kauffman brings the office to you. That’s why we are called Geriatric House Call Dentistry! Dr. Kauffman counts it her honor to be welcomed into your space. TRUST – It can be scary when you don’t know where to turn for help. That’s why it’s vital you find someone you can trust for the long haul. Dr. Kauffman has made it her life’s mission to help you and your aging parent feel comfortable. Of course, trust is a primary virtue when dealing with loved ones. You will find an ease and comfort with Dr. Kauffman. COMPASSION – Compassion is a key reason why Dr. Kauffman does what she does. She cares deeply about her elderly and vulnerable patients. She saw a need for bringing the dental office to them and she did something about it. She has a passion for what’s she’s doing. Dr. Kauffman makes a huge and lasting impact on her patient’s lives. There’s a reason that Dr. Kauffman is in the top 25 dentists in the country. She’s had over 30 years experience in dentistry with extensive training and education. She’s the clinical director at Penn Dental and is the dental director at three nursing homes. It’s not just her credentials that make her the right choice for your aging parent’s dental needs. It’s her heart, compassion, trustworthiness, and passion in what she does. Your aging parent deserves the best. Dr. Kauffman is the best! Give her a call today to schedule an appointment.